From snow-covered mountain vistas to thawing glacial lakes and fields of alpine wildflowers, there is something to see in every season in the Rocky Mountains. The national parks in the region are an incredible sight no matter what time of the year you decide to visit, however the views can be dramatically different. VroomVroomVroom has put together a guide to help you determine the best season to visit the stunning Rocky Mountains. Why visit in summer? The weather is warm, and the days are longer so you can spend plenty of time exploring the beautiful hiking trails. The glacial lakes are an unbelievable turquoise colour at this time of year, and all the major tourist attractions are open. Things to be aware of: Summer is a great time to visit the Rocky Mountains, and be assured that everyone else knows that as well. If you visit during summer, be prepared to battle the crowds to get to the best view points. Hotel rates are higher, and you will need to book your accommodation well in advance. Expect the roads to be busier as you travel through the Rocky Mountains. Hire a canoe and paddle through the turquoise waters of Lake Louise. 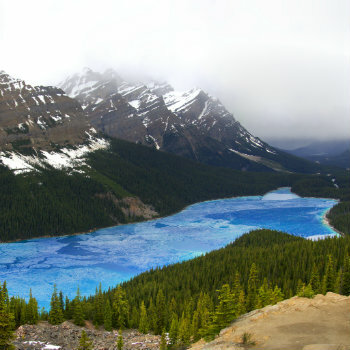 Hike the magnificent Bow Summit track for fantastic views of Peyto Lake. Take a ride on the Jasper SkyTram. Why visit during fall? As a shoulder season, there will be less people visiting the Rocky Mountains at this time of year, which means quicker travel times for you and less crowded visitor attractions. Many of the trees throughout the national parks will also turn a lovely shade of gold, making for excellent photos. 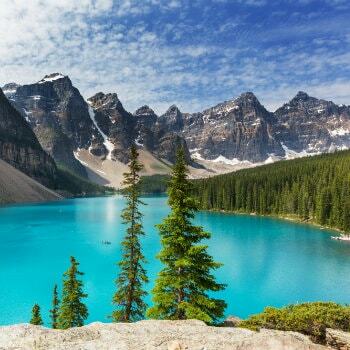 Stop in at Banff National Park for some great views. Things to be aware of: The park may be less crowded, but some major visitor attractions may not be open. And while it is too early for the winter activities begin, you may be in for some colder weather as the temperatures cool down. You will need to pack some warmer clothes for your trip. Follow the hiking trails around Lake Louise to see beautiful fall colours. Go horse-back riding surrounded by incredible scenery. 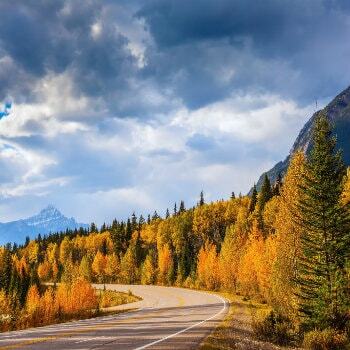 Take a road trip to Jasper and enjoy the colourful trees along the way. Why visit in winter? There are a lot of options to ski in the Rocky Mountains in winter. Visitors can also enjoy other winter activities such as snowboarding and ice-skating. Rather than the bright blue glacial lakes, you will see famous destinations like Lake Louise covered in ice, with the surrounding mountains coated in a thick blanket of snow. Things to be aware of: Weather can be unpredictable at this time of year, and you may face road closures. Some visitor attractions do not operate through the winter season, and you will have less daylight hours to explore the park. Temperatures will be frosty over the winter months, so be sure to pack plenty of extra layers. Ice-skating: Go ice-skating on Lake Louise's frozen surface. Skiing: Hit the famous winter slopes in Banff. Vermilion Lakes: Admire the view of the frozen lakes. Why visit in spring? If it's cheaper accommodation you are after, spring is a great time to visit. As the shoulder season before summer sets in, the Rocky Mountains are less busy. So while you will be able to get around easily and enjoy uncrowded hiking trails, keep in mind that this is also a great time of year for spotting some of Canada's unique wildlife. 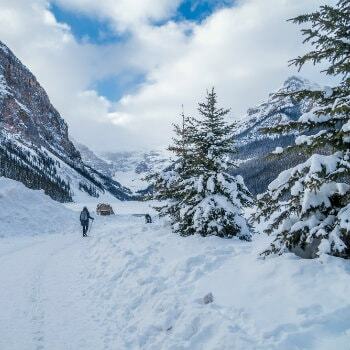 Things to be aware of: Winter in the Canadian Rockies can last awhile. It is not uncommon for the snow to linger, so you may still experience road closures and delays while travelling. You will also miss out on seeing the bright, turquoise colour of the glacier lakes as they are still thawing out at this time. Drive the Icefields Parkway: Enjoy views of snow-capped mountains. Spot wildlife: Canada has some fantastic wildlife, and spring is a great time to spot them.